Quick, easy, nutritious and of course super tasty. 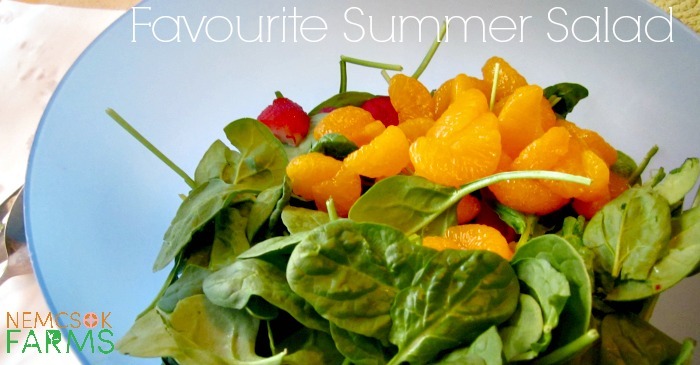 That is why this is my Favourite Summer Salad Recipe. Whether you are going to grow your own ingredients for this, or grab them from your local supermarket or grocery store, this salad really is the perfect summer salad. 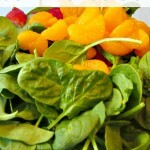 The strawberries provide a wonderful texture, the baby spinach leaves are incredibly tasty, and if fresh, quite crisp – and the orange or mandarin segments add not only a sweet flavour, but also the dressing. 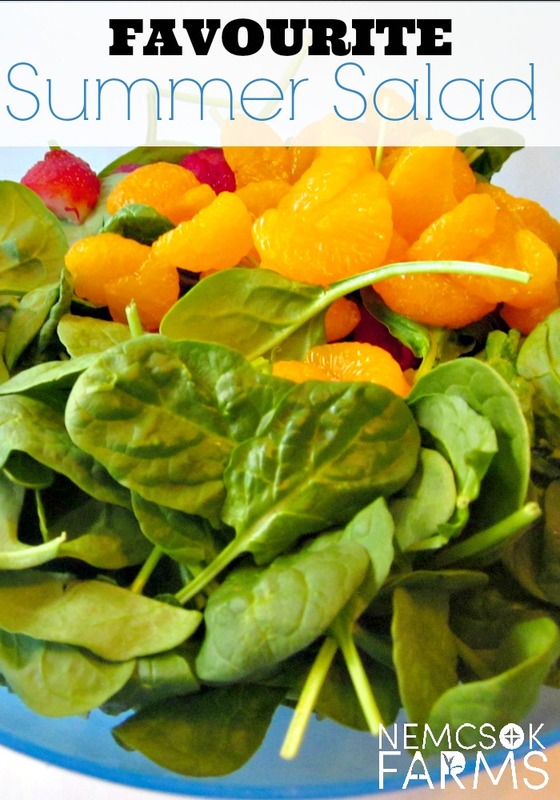 A tasty and really really salad to whip up - perfect for any meal, even breakfast. Peel the orange segments to that there is no peel or pith remaining. If using canned mandarin slices, drain off the liquid. 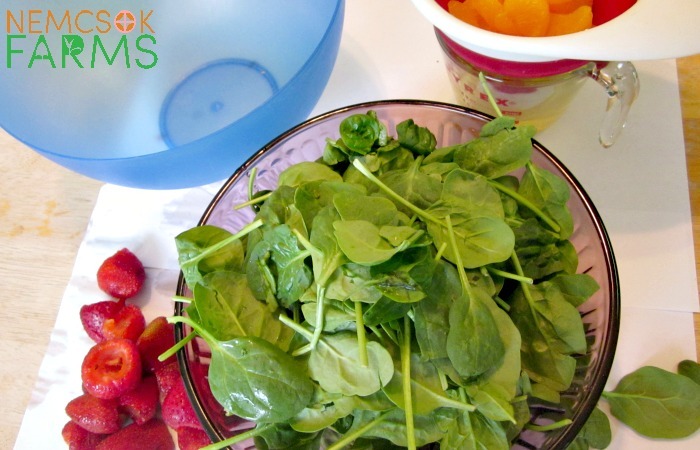 Add all of the washed and drained ingredients to a salad bowl, stir and serve. Our Tangy Coleslaw is perfect for barbecues and summer parties, the Green Bean Salad goes well with any meal, and is also quite impressive. Of course the secret ingredient in our Egg Salad makes your egg salad sandwiches a delightfully memorable experience. Our most popular recipes of all time, chosen by you, our readers are this amazing crowd and kid pleasing recipe for Homemade Mac & Cheese Sauce, this mild yet slightly zippy Guacamole and of course, the Perfect Chili recipe.